Interesting! I still consider me as a tea beginner. I am trying to learn and compare many kinds of tea by drinking samples. But I also feel that to enjoy a tea is a process and not one session. So, that is inspiration for me. Nice of you to posed such a question of tea jumping around. I found myself doing as much since I was a tea reviewer and wanted to increase my tea counts; but now I simply enjoy the teas until they are gone. I may purchase more of that tea but will return to it at a later time for better enjoyment even. Out of sight than a rekindling of sort. Sorry if I have not made sense; or ever. Thank you for sharing! Dear Seule, In many cases, the real treasure is in middle of the bag. 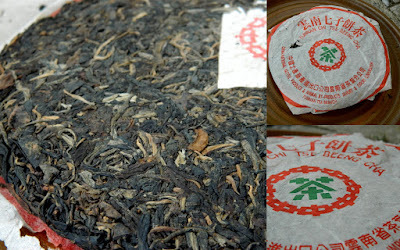 When the tea is new for me, there is a lot of excitment, maybe too much. When there is just small leftover on the bottom, sometime it have already lost its power. I've write about a new tea-sort in Holland :-) But I think I love coffe more! Velice zajímavý nápad! Zdá se to jako dobrá cesta, jak se co nejvíce seznámit s daným čajem, pochopit ho a dovést přípravu k dokonalosti. Osobně spíš preferuji pití čaje podle momentální chuti, aktuálního rozpoložení, ročního období - počasí... a dalších vlivů z okolí, které na mě zrovna působí. Troufám si tvrdit, že pít jeden koláč po dobu jednoho měsíce bych zcela jistě nezvládl. Toť jen můj osobní názor. V každém případě přeji mnoho příjemných chvil s tímto koláčem. Jsem na sebe hodný a ač si tento koláč si dávám každé ráno, během dne se dál propíjím dle momentálních nálad. You must tell me how the experience of drinking a cake until the end goes! I imagine it will be very difficult to resist the temptation of jumping around and keep things basic for a while in order to get a more profound sense. But I also think it's true that jumping around keeps a fresh feel on the tea drinking experience, keeps you on your toes, and wards of the possibility of your everyday tea becoming ordinary. This however, is just a reflection of chaos for when we approach the ordinary with the eyes of newness we are truly living. That's what takes effort, that's where we find true learning. So yes, definitely let me know how your experience goes! It is nice to continue and be part of the blog. I visited Johnson Compounding Wellness Center in Waltham, MA yesterday and they had many teas in tea bag style sachets (Tea Forte) is a favorite of theirs. They had lovely Oolong teas as loose leaf way of up on the shelf and I could not reach it. 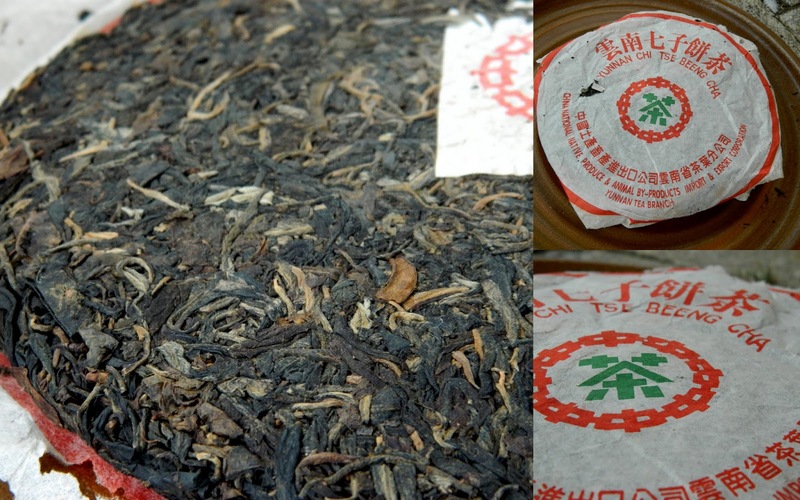 I make mention of this here, realizing I had not seen any pu-erh teas. No Numi Teas or perhaps I missed it. It is a lovely shop and wellness center; small in size but packing and stacking quite high! Thank you, at times sharing is nice.